Hypertension, also known as high blood pressure (HBP), is a long-term medical condition in which the blood pressure in the arteries is persistently elevated. High blood pressure typically does not cause symptoms. Long-term high blood pressure, however, is a major risk factor for coronary artery disease, stroke, heart failure, atrial fibrillation, peripheral vascular disease, vision loss, chronic kidney disease, and dementia. A catecholamine is a monoamine neurotransmitter, an organic compound that has a catechol and a side-chain amine. Norepinephrine (NE), also called noradrenaline (NA) or noradrenalin, is an organic chemical in the catecholamine family that functions in the brain and body as a hormone and neurotransmitter. The name "noradrenaline", derived from Latin roots meaning "at/alongside the kidneys", is more commonly used in the United Kingdom; in the United States, "norepinephrine", derived from Greek roots having that same meaning, is usually preferred. "Norepinephrine" is also the international nonproprietary name given to the drug. Regardless of which name is used for the substance itself, parts of the body that produce or are affected by it are referred to as noradrenergic. An artery is a blood vessel that takes blood away from the heart to all parts of the body. Most arteries carry oxygenated blood; the two exceptions are the pulmonary and the umbilical arteries, which carry deoxygenated blood to the organs that oxygenate it. The effective arterial blood volume is that extracellular fluid which fills the arterial system. Sir James Whyte Black was a Scottish physician and pharmacologist. Black established a Veterinary Physiology department at the University of Glasgow, where he became interested in the effects of adrenaline on the human heart. He went to work for ICI Pharmaceuticals in 1958 and, while there, developed propranolol, a beta blocker used for the treatment of heart disease. Black was also responsible for the development of cimetidine, an H2 receptor antagonist, a drug used to treat stomach ulcers. He was awarded the Nobel Prize for Medicine in 1988 for work leading to the development of propranolol and cimetidine. Pronethalol was an early non-selective beta blocker clinical candidate. It was never used clinically due to carcinogenicity in mice, which was thought to result from formation of a carcinogenic naphthalene epoxide metabolite. Atenolol is a beta blocker medication primarily used to treat high blood pressure and heart-associated chest pain. Other uses include the prevention of migraines and treatment of certain irregular heart beats. It is taken by mouth or by injection into a vein. It can also be used with other blood pressure medications. Atrial fibrillation is an abnormal heart rhythm characterized by rapid and irregular beating of the atria. Often it starts as brief periods of abnormal beating which become longer and possibly constant over time. Often episodes have no symptoms. Occasionally there may be heart palpitations, fainting, lightheadedness, shortness of breath, or chest pain. The disease is associated with an increased risk of heart failure, dementia, and stroke. It is a type of supraventricular tachycardia. Essential tremor is a progressive neurological disorder that is also the most common movement disorder. The cause of the condition is currently unknown. It typically involves a tremor of the arms, hands or fingers but sometimes involves the head, vocal cords or other body parts during voluntary movements such as eating and writing. It is distinct from Parkinson's disease—and often misdiagnosed as such—although some individuals have both conditions. Essential tremor is commonly described as an action tremor or postural tremor rather than a resting tremor, such as is seen in Parkinson’s, which is usually not included among its symptoms. Although beta blockers were once contraindicated in congestive heart failure, as they have the potential to worsen the condition due to their effect of decreasing cardiac contractility, studies in the late 1990s showed their efficacy at reducing morbidity and mortality. Bisoprolol, carvedilol, and sustained-release metoprolol are specifically indicated as adjuncts to standard ACE inhibitor and diuretic therapy in congestive heart failure, although at doses typically much lower than those indicated for other conditions. Beta blockers are only indicated in cases of compensated, stable congestive heart failure; in cases of acute decompensated heart failure, beta blockers will cause a further decrease in ejection fraction, worsening the patient's current symptoms. Beta blockers are known primarily for their reductive effect on heart rate, although this is not the only mechanism of action of importance in congestive heart failure. [ citation needed ] Beta blockers, in addition to their sympatholytic β1 activity in the heart, influence the renin–angiotensin system at the kidneys. Beta blockers cause a decrease in renin secretion, which in turn reduces the heart oxygen demand by lowering extracellular volume and increasing the oxygen-carrying capacity of blood. Heart failure characteristically involves increased catecholamine activity on the heart, which is responsible for a number of deleterious effects, including increased oxygen demand, propagation of inflammatory mediators, and abnormal cardiac tissue remodeling, all of which decrease the efficiency of cardiac contraction and contribute to the low ejection fraction. Beta blockers counter this inappropriately high sympathetic activity, eventually leading to an improved ejection fraction, despite an initial reduction in ejection fraction. Officially, beta blockers are not approved for anxiolytic use by the U.S. Food and Drug Administration. However, many controlled trials in the past 25 years indicate beta blockers are effective in anxiety disorders, though the mechanism of action is not known. The physiological symptoms of the fight-or-flight response (pounding heart, cold/clammy hands, increased respiration, sweating, etc.) are significantly reduced, thus enabling anxious individuals to concentrate on the task at hand. Glucagon, used in the treatment of overdose,   increases the strength of heart contractions, increases intracellular cAMP, and decreases renal vascular resistance. It is, therefore, useful in patients with beta blocker cardiotoxicity. Cardiac pacing is usually reserved for patients unresponsive to pharmacological therapy. Accordingly, nonselective beta blockers are expected to have antihypertensive effects. The primary antihypertensive mechanism of beta blockers is unclear, but may involve reduction in cardiac output (due to negative chronotropic and inotropic effects). It may also be due to reduction in renin release from the kidneys, and a central nervous system effect to reduce sympathetic activity (for those beta blockers that do cross the blood–brain barrier, e.g. propranolol). Antihypertensives are a class of drugs that are used to treat hypertension. Antihypertensive therapy seeks to prevent the complications of high blood pressure, such as stroke and myocardial infarction. Evidence suggests that reduction of the blood pressure by 5 mmHg can decrease the risk of stroke by 34%, of ischaemic heart disease by 21%, and reduce the likelihood of dementia, heart failure, and mortality from cardiovascular disease. There are many classes of antihypertensives, which lower blood pressure by different means. Among the most important and most widely used drugs are thiazide diuretics, calcium channel blockers, ACE inhibitors, angiotensin II receptor antagonists (ARBs), and beta blockers. Metoprolol, marketed under the tradename Lopressor among others, is a medication of the selective β1 receptor blocker type. It is used to treat high blood pressure, chest pain due to poor blood flow to the heart, and a number of conditions involving an abnormally fast heart rate. It is also used to prevent further heart problems after myocardial infarction and to prevent headaches in those with migraines. Nadolol, sold under the brand name Corgard among others, is a medication used to treat high blood pressure, heart pain, and atrial fibrillation. It has also been used to prevent migraine headaches and complications of cirrhosis. It is taken by mouth. Betaxolol is a selective beta1 receptor blocker used in the treatment of hypertension and glaucoma. Being selective for beta1 receptors, it typically has fewer systemic side effects than non-selective beta-blockers, for example, not causing bronchospasm as timolol may. Betaxolol also shows greater affinity for beta1 receptors than metoprolol. In addition to its effect on the heart, betaxolol reduces the pressure within the eye. This effect is thought to be caused by reducing the production of the liquid within the eye. The precise mechanism of this effect is not known. The reduction in intraocular pressure reduces the risk of damage to the optic nerve and loss of vision in patients with elevated intraocular pressure due to glaucoma. Isoprenaline, or isoproterenol, is a medication used for the treatment of bradycardia, heart block, and rarely for asthma. It is a non-selective β adrenoreceptor agonist that is the isopropylamine analog of epinephrine (adrenaline). Dobutamine is a medication used in the treatment of cardiogenic shock and severe heart failure. It may also be used in certain types of cardiac stress tests. It is given by injection into a vein or intraosseous as a continuous infusion. The amount of medication needs to be adjusted to the desired effect. Onset of effects is generally seen within 2 minutes. Labetalol is a medication used to treat high blood pressure and in long term management of angina. This includes essential hypertension, hypertensive emergencies, and hypertension of pregnancy. In essential hypertension it is generally less preferred than a number of other blood pressure medications. It can be given by mouth or by injection into a vein. Acebutolol, sold under the brand names Sectral among others, is a beta blocker for the treatment of hypertension and arrhythmias. Carvedilol, sold under the brand name Coreg among others, is a medication used to treat high blood pressure, congestive heart failure (CHF), and left ventricular dysfunction in people who are otherwise stable. 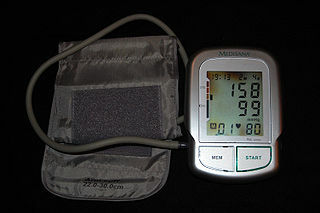 For high blood pressure, it is generally a second-line treatment. It is taken by mouth. Penbutolol is a medication in the class of beta blockers, used in the treatment of high blood pressure. Penbutolol is able to bind to both beta-1 adrenergic receptors and beta-2 adrenergic receptors, thus making it a non-selective β blocker. Penbutolol is a sympathomimetic drug with properties allowing it to act as a partial agonist at β adrenergic receptors. The beta-1 adrenergic receptor, also known as ADRB1, is a beta-adrenergic receptor, and also denotes the human gene encoding it. It is a G-protein coupled receptor associated with the Gs heterotrimeric G-protein and is expressed predominantly in cardiac tissue. Nebivolol is a beta blocker used to treat high blood pressure and heart failure. It is generally less preferred than a number of other blood pressure medications. It may be used by itself or with other blood pressure medication. It is taken by mouth. An adrenergic antagonist is a drug that inhibits the function of adrenergic receptors. There are five adrenergic receptors, which are divided into two groups. The first group of receptors are the beta (β) adrenergic receptors. There are β1, β2, and β3 receptors. The second group contains the alpha (α) adrenoreceptors. There are only α1 and α2 receptors. Adrenergic receptors are located near the heart, kidneys, lungs, and gastrointestinal tract. There are also α-adreno receptors that are located on vascular smooth muscle. A sympatholytic drug is a medication that opposes the downstream effects of postganglionic nerve firing in effector organs innervated by the sympathetic nervous system (SNS). They are indicated for various functions; for example, they may be used as antihypertensives. They are also used to treat anxiety, such as generalized anxiety disorder, panic disorder and PTSD. Alpha-blockers, also known as α-blockers or α-adrenoreceptor antagonists, are a class of pharmacological agents that act as antagonists on α-adrenergic receptors (α-adrenoceptors). Landiolol (INN) is an ultra short-acting, β1-superselective intravenous adrenergic antagonist, which decreases the heart rate effectively with less negative effect on blood pressure or myocardial contractility. In comparisson to other betablockers, landiolol has the shortest elimination half-life, ultra-rapid onset of effect, and predectible effectiveness with inactive metabolites. The pure S-enantiomer structure of landiolol is believed to develop less hypotensive side effects in comparison to other β-blockers. This has a positive impact on the treatment of patients when reduction of heart rate without decrease in arterial blood pressure is desired.. Landiolol was developed by modifying the chemical structure of esmolol to produce a compound with a higher rate of cardioselectivity and a greater potency without increasing its duration of action. It is sold as landiolol hydrochloride. Based on its positive benefit risk profile, landiolol has been granted the marketing authorization and introduced to the European markets under the brand names Rapibloc, Raploc, Runrapiq, Landibloc mid 2016. Landiolol is available in Japan under the brand names Onoact (50mg) and Corbeta. β adrenergic receptor antagonists were initially developed in the 1960s, for the treatment of angina pectoris but are now also used for hypertension, congestive heart failure and certain arrhythmias. In the 1950s, dichloroisoproterenol (DCI) was discovered to be a β-antagonist that blocked the effects of sympathomimetic amines on bronchodilation, uterine relaxation and heart stimulation. Although DCI had no clinical utility, a change in the compound did provide a clinical candidate, pronethalol, which was introduced in 1962. ↑ James PA, Oparil S, Carter BL, Cushman WC, Dennison-Himmelfarb C, Handler J, Lackland DT, LeFevre ML, MacKenzie TD, Ogedegbe O, Smith SC, Svetkey LP, Taler SJ, Townsend RR, Wright JT, Narva AS, Ortiz E (February 2014). "2014 evidence-based guideline for the management of high blood pressure in adults: report from the panel members appointed to the Eighth Joint National Committee (JNC 8)". JAMA. 311 (5): 507–20. doi:10.1001/jama.2013.284427. PMID 24352797. 1 2 Frishman WH, Cheng-Lai A, Nawarskas J (2005). Current Cardiovascular Drugs. Current Science Group. p. 152. ISBN 978-1-57340-221-7 . Retrieved 2010-09-07. 1 2 3 Arcangelo VP, Peterson AM (2006). Pharmacotherapeutics for advanced practice: a practical approach. Lippincott Williams & Wilkins. p. 205. ISBN 978-0-7817-5784-3 . Retrieved 2010-09-07. ↑ Frishman WH, Cheng-Lai A, Nawarskas J (2005). Current Cardiovascular Drugs. Current Science Group. p. 153. ISBN 978-1-57340-221-7 . Retrieved 2010-09-07. ↑ "Sir James Black, OM". The Telegraph. March 23, 2010. Archived from the original on March 27, 2010. Retrieved March 25, 2010. ↑ Wiysonge CS, Bradley HA, Volmink J, Mayosi BM, Opie LH (January 2017). "Beta-blockers for hypertension". The Cochrane Database of Systematic Reviews. 1: CD002003. doi:10.1002/14651858.CD002003.pub5. PMC 5369873 . PMID 28107561. ↑ Xue H, Lu Z, Tang WL, Pang LW, Wang GM, Wong GW, Wright JM (January 2015). "First-line drugs inhibiting the renin angiotensin system versus other first-line antihypertensive drug classes for hypertension". The Cochrane Database of Systematic Reviews. 1: CD008170. doi:10.1002/14651858.CD008170.pub2. PMID 25577154. ↑ Chen N, Zhou M, Yang M, Guo J, Zhu C, Yang J, Wang Y, Yang X, He L (August 2010). "Calcium channel blockers versus other classes of drugs for hypertension". The Cochrane Database of Systematic Reviews (8): CD003654. doi:10.1002/14651858.CD003654.pub4. PMID 20687074. ↑ Wiysonge CS, Bradley HA, Volmink J, Mayosi BM, Opie LH (January 2017). "Beta-blockers for hypertension". The Cochrane Database of Systematic Reviews. 1: CD002003. doi:10.1002/14651858.cd002003.pub5. PMID 28107561. ↑ Cleophas, Ton (1995). Beta-blockers in hypertension and angina pectoris: different compounds, different strategies. Kluwer Academic Publishers. ISBN 978-0-7923-3516-0. ↑ Khan, M.I. Gabriel (2007). Cardia Drug Therapy. Humana Press. ISBN 978-1-59745-238-0. ↑ Meinertz T, Willems S (December 2008). "[Treatment of atrial fibrillation in every days practice]" [Treatment of atrial fibrillation in every day practice]. Der Internist. 49 (12): 1437–42, 1444–5. doi:10.1007/s00108-008-2152-6. PMID 19020848. ↑ Shen, Howard (2008). Illustrated Pharmacology Memory Cards: PharMnemonics. Minireview. p. 15. ISBN 978-1-59541-101-3. ↑ Hjalmarson A, Goldstein S, Fagerberg B, Wedel H, Waagstein F, Kjekshus J, Wikstrand J, El Allaf D, Vítovec J, Aldershvile J, Halinen M, Dietz R, Neuhaus KL, Jánosi A, Thorgeirsson G, Dunselman PH, Gullestad L, Kuch J, Herlitz J, Rickenbacher P, Ball S, Gottlieb S, Deedwania P (March 2000). "Effects of controlled-release metoprolol on total mortality, hospitalizations, and well-being in patients with heart failure: the Metoprolol CR/XL Randomized Intervention Trial in congestive heart failure (MERIT-HF). MERIT-HF Study Group". JAMA. 283 (10): 1295–302. doi:10.1001/jama.283.10.1295. PMID 10714728. ↑ Leizorovicz A, Lechat P, Cucherat M, Bugnard F (February 2002). "Bisoprolol for the treatment of chronic heart failure: a meta-analysis on individual data of two placebo-controlled studies--CIBIS and CIBIS II. Cardiac Insufficiency Bisoprolol Study". American Heart Journal. 143 (2): 301–7. doi:10.1067/mhj.2002.120768. PMID 11835035. ↑ Packer M, Fowler MB, Roecker EB, Coats AJ, Katus HA, Krum H, Mohacsi P, Rouleau JL, Tendera M, Staiger C, Holcslaw TL, Amann-Zalan I, DeMets DL (October 2002). "Effect of carvedilol on the morbidity of patients with severe chronic heart failure: results of the carvedilol prospective randomized cumulative survival (COPERNICUS) study". Circulation. 106 (17): 2194–9. doi:10.1161/01.CIR.0000035653.72855.BF. PMID 12390947. ↑ "Use of beta blockers and ivabradine in heart failure with reduced ejection fraction". www.uptodate.com. Archived from the original on December 22, 2015. Retrieved December 11, 2015. ↑ Pritchett AM, Redfield MM (August 2002). "Beta-blockers: new standard therapy for heart failure" (PDF). Mayo Clinic Proceedings. 77 (8): 839–45, quiz 845–6. doi:10.4065/77.8.839. PMID 12173717. ↑ Schneier FR (September 2006). "Clinical practice. Social anxiety disorder". The New England Journal of Medicine. 355 (10): 1029–36. 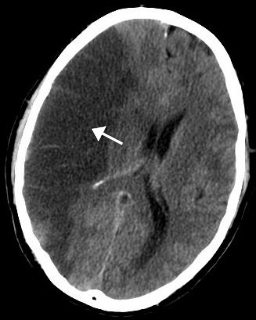 doi:10.1056/NEJMcp060145. PMC 192835 . PMID 16957148. ↑ Tyrer P (January 1992). "Anxiolytics not acting at the benzodiazepine receptor: beta blockers". Progress in Neuro-Psychopharmacology & Biological Psychiatry. 16 (1): 17–26. doi:10.1016/0278-5846(92)90004-X. PMID 1348368. 1 2 Tindall, Blair (October 17, 2004). "Better Playing Through Chemistry". The New York Times . Archived from the original on August 26, 2015. 1 2 Blessberger H, Kammler J, Domanovits H, Schlager O, Wildner B, Azar D, Schillinger M, Wiesbauer F, Steinwender C (March 2018). "Perioperative beta-blockers for preventing surgery-related mortality and morbidity". The Cochrane Database of Systematic Reviews. 9 (9): CD004476. doi:10.1002/14651858.CD004476.pub3. PMID 29533470. 1 2 Tim Glover. "Golf: O'Grady says players use beta-blockers: Drugs 'helped win majors'". The Independent . Archived from the original on September 25, 2015. Retrieved March 28, 2017. ↑ World Anti-Doping Agency (September 19, 2005). "The World Anti-Doping Code: The 2006 Prohibited List International Standard" (PDF). World Anti-Doping Agency. Archived (PDF) from the original on February 11, 2017. Retrieved February 10, 2017. ↑ Scott, Matt (15 August 2008). "Olympics: North Korea's Kim Jong-su loses medals after positive drugs test". The Guardian. Guardian News and Media Limited. Retrieved 7 March 2018. ↑ Elman MJ, Sugar J, Fiscella R, Deutsch TA, Noth J, Nyberg M, Packo K, Anderson RJ (1998). "The effect of propranolol versus placebo on resident surgical performance". Transactions of the American Ophthalmological Society. 96: 283–91, discussion 291–4. PMC 1298399 . PMID 10360293. ↑ Cruickshank JM (2010). "Beta-blockers and heart failure". Indian Heart Journal. 62 (2): 101–10. PMID 21180298. ↑ Beta-Adrenoceptor Antagonists (Beta-Blockers); "CV Pharmacology | Beta-Adrenoceptor Antagonists (Beta-Blockers)". Archived from the original on August 8, 2011. Retrieved August 8, 2011. ↑ Elliott WJ, Meyer PM (January 2007). "Incident diabetes in clinical trials of antihypertensive drugs: a network meta-analysis". Lancet. 369 (9557): 201–7. doi:10.1016/S0140-6736(07)60108-1. PMID 17240286. ↑ Mayor S (July 2006). "NICE removes beta blockers as first line treatment for hypertension". BMJ. 333 (7557): 8. doi:10.1136/bmj.333.7557.8-a. PMC 1488775 . PMID 16809680. ↑ Richards JR, Derlet RW, Albertson TE. "Treatment & Management". Methamphetamine Toxicity. Medscape. WebMD. Archived from the original on April 9, 2016. Retrieved April 20, 2016. 1 2 Richards JR, Albertson TE, Derlet RW, Lange RA, Olson KR, Horowitz BZ (May 2015). "Treatment of toxicity from amphetamines, related derivatives, and analogues: a systematic clinical review". Drug and Alcohol Dependence. 150: 1–13. doi:10.1016/j.drugalcdep.2015.01.040. PMID 25724076. ↑ Handly, Neal (December 16, 2016). "Toxicity, Amphetamine". Medscape. Archived from the original on October 13, 2007. ↑ Boehm I, Morelli J, Nairz K, Silva Hasembank Keller P, Heverhagen JT (November 2016). "Beta blockers and intravenous roentgen contrast materials: Which risks do exist?" (PDF). European Journal of Internal Medicine. 35: e17–e18. doi:10.1016/j.ejim.2016.08.003. PMID 27531627. ↑ Weinstein RS, Cole S, Knaster HB, Dahlbert T (February 1985). "Beta blocker overdose with propranolol and with atenolol". Annals of Emergency Medicine. 14 (2): 161–3. doi:10.1016/S0196-0644(85)81081-7. PMID 2857542. ↑ "Toxicity, Beta-blocker: Treatment & Medication – eMedicine Emergency Medicine". Archived from the original on March 17, 2009. Retrieved March 6, 2009. ↑ John Gualtier. "Beta-Adrenergic Blocker Poisoning" (PDF). Courses.ahc.umn.edu. Archived (PDF) from the original on March 3, 2016. Retrieved March 28, 2017. ↑ Perez, Dianne M. (2006). The Adrenergic Receptors in the 21st Century. Humana Press. p. 135. ISBN 978-1-58829-423-4 . Retrieved 2010-09-08. ↑ Jameson JL, Loscalzo J (2010). Harrison's Nephrology and Acid-Base Disorders. McGraw-Hill Companies. p. 215. ISBN 978-0-07-166339-7 . Retrieved 2010-09-08. ↑ O'Donnell JM, Nácul FE (2009). Surgical Intensive Care Medicine. Springer. p. 47. ISBN 978-0-387-77892-1 . Retrieved 2010-09-08. ↑ Reents, Stan (2000). Sport and exercise pharmacology. Human Kinetics. p. 19. ISBN 978-0-87322-937-1 . Retrieved 2010-09-10. ↑ Martini, Frederic H. (2005). Anatomy and Physiology. Pearson Education. p. 394. ISBN 978-0-8053-5947-3 . Retrieved 2010-09-10. ↑ Khan, M. I. Gabriel (2006). Encyclopedia of Heart Diseases. Elsevier. p. 160. ISBN 978-0-12-406061-6 . Retrieved 2010-09-10. ↑ Lamster IB, Northridge ME, eds. (2008). Improving Oral Health for the Elderly: An Interdisciplinary Approach. New York: Springer. p. 87. ISBN 978-0-387-74337-0 . Retrieved 2010-10-23. ↑ Rothfeld GS, Romaine DS (2005). The Encyclopedia of Men's Health. Amaranth. p. 48. ISBN 978-0-8160-5177-9 . Retrieved 2010-10-23. ↑ Manger WM, Gifford RW (2001). 100 Questions and Answers about Hypertension. Blackwell Science. p. 106. ISBN 978-0-632-04481-8 . Retrieved 2010-09-10. ↑ Hurst, J.W. (1997). Schlant, Robert C., ed. Hurst's the Heart. 2. Blackwell Science. p. 1564. ISBN 978-0-07-912951-2 . Retrieved 2010-10-07. ↑ Reid, J.L. (2001). Lecture notes on clinical pharmacology. 6. Blackwell Science. p. 76. ISBN 978-0-632-05077-2 . Retrieved 2011-03-11. 1 2 3 4 5 6 7 8 9 10 11 12 13 14 15 16 17 18 19 20 "Comparison of Oral Beta-Blockers". pharmacist.therapeuticresearch.com. Therapeutic Research Center. Archived from the original on October 18, 2017. Retrieved April 30, 2017. ↑ Rosendorff C (June 1993). "Beta-blocking agents with vasodilator activity". Journal of Hypertension Supplement. 11 (4): S37–40. doi:10.1097/00004872-199306003-00009. PMID 8104240. ↑ "CARTEOLOL". pubchem.ncbi.nlm.nih.gov. U.S. National Library of Medicine. Archived from the original on October 18, 2017. Retrieved October 18, 2017. 1 2 "oxprenolol". pubchem.ncbi.nlm.nih.gov. U.S. National Library of Medicine. Archived from the original on October 18, 2017. Retrieved October 18, 2017. 1 2 "Celiprolol". pubchem.ncbi.nlm.nih.gov. U.S. National Library of Medicine. Archived from the original on October 18, 2017. Retrieved October 18, 2017. ↑ "Esmolol, an ultrashort-acting, selective beta 1-adrenoceptor antagonist: pharmacodynamic and pharmacokinetic properties". PMID 7957532. ↑ "Butaxamine". pubchem.ncbi.nlm.nih.gov. U.S. National Library of Medicine. Archived from the original on October 18, 2017. Retrieved October 18, 2017. ↑ "ICI 118551 hydrochloride". abcam.com. Abcam plc. Archived from the original on October 18, 2017. Retrieved October 18, 2017. ↑ "SR 59230A". pubchem.ncbi.nlm.nih.gov. U.S. National Library of Medicine. Archived from the original on October 18, 2017. Retrieved October 18, 2017. 1 2 3 Larochelle P, Tobe SW, Lacourcière Y (May 2014). "β-Blockers in hypertension: studies and meta-analyses over the years". The Canadian Journal of Cardiology. 30 (5 Suppl): S16–22. doi:10.1016/j.cjca.2014.02.012. PMID 24750978. ↑ Zipursky JS, Macdonald EM, Luo J, Gomes T, Mamdani MM, Paterson JM, Juurlink DN (June 2017). "Lipophilic β-Blockers and Suicide in the Elderly". Journal of Clinical Psychopharmacology. 37 (3): 381–384. doi:10.1097/JCP.0000000000000695. PMID 28338548. Archived from the original on October 18, 2017. 1 2 3 4 5 Aronson JK (June 2008). "Changing beta-blockers in heart failure: when is a class not a class?". The British Journal of General Practice. 58 (551): 387–9. doi:10.3399/bjgp08X299317. PMC 2418988 . PMID 18505613. ↑ "Announcement of Approval of Additional Indications for Onoact 50 for Injection, Short-Acting Selective ß1 Blocker". www.evaluategroup.com. Evaluate Ltd. Retrieved 18 October 2017. ↑ "DailyMed - METIPRANOLOL- metipranolol solution/ drops". dailymed.nlm.nih.gov. NIH. Archived from the original on October 18, 2017. Retrieved October 18, 2017. ↑ "Drugs to Prevent Migraine in Adults". pharmacist.therapeuticresearch.com. Therapeutic Research Center. Archived from the original on October 18, 2017. Retrieved April 30, 2017. ↑ Fares A (July 2011). "Night-time exogenous melatonin administration may be a beneficial treatment for sleeping disorders in beta blocker patients". Journal of Cardiovascular Disease Research. 2 (3): 153–5. doi:10.4103/0975-3583.85261. PMC 3195193 . PMID 22022142. ↑ Choy C, Raytis JL, Smith DD, Duenas M, Neman J, Jandial R, Lew MW (June 2016). "Inhibition of β2-adrenergic receptor reduces triple-negative breast cancer brain metastases: The potential benefit of perioperative β-blockade". Oncology Reports. 35 (6): 3135–42. doi:10.3892/or.2016.4710. PMC 4869944 . PMID 27035124. ↑ Kokolus KM, Zhang Y, Sivik JM, Schmeck C, Zhu J, Repasky EA, Drabick JJ, Schell TD (2018). "Beta blocker use correlates with better overall survival in metastatic melanoma patients and improves the efficacy of immunotherapies in mice". Oncoimmunology. 7 (3): e1405205. doi:10.1080/2162402X.2017.1405205. PMC 5790362 . PMID 29399407. ↑ Powe DG, Voss MJ, Zänker KS, Habashy HO, Green AR, Ellis IO, Entschladen F (November 2010). "Beta-blocker drug therapy reduces secondary cancer formation in breast cancer and improves cancer specific survival". Oncotarget. 1 (7): 628–38. doi:10.18632/oncotarget.101009 (inactive 2019-03-08). PMC 3248123 . PMID 21317458. ↑ Livingstone E, Hollestein LM, van Herk-Sukel MP, van de Poll-Franse L, Nijsten T, Schadendorf D, de Vries E (December 2013). "β-Blocker use and all-cause mortality of melanoma patients: results from a population-based Dutch cohort study". European Journal of Cancer. 49 (18): 3863–71. doi:10.1016/j.ejca.2013.07.141. PMID 23942335. ↑ Cardwell CR, Coleman HG, Murray LJ, O'Sullivan JM, Powe DG (June 2014). "Beta-blocker usage and prostate cancer survival: a nested case-control study in the UK Clinical Practice Research Datalink cohort". Cancer Epidemiology. 38 (3): 279–85. doi:10.1016/j.canep.2014.03.011. PMID 24786858. ↑ Kim HY, Jung YJ, Lee SH, Jung HJ, Pak K (2017). "Is Beta-Blocker Use Beneficial in Breast Cancer? A Meta-Analysis". Oncology. 92 (5): 264–268. doi:10.1159/000455143. PMID 28132057. ↑ Sonny Joseph (1997). "Chapter 3, Schizoid Personality Disorder". Personality Disorders: New Symptom-Focused Drug Therapy. Psychology Press. pp. 45–56. ISBN 9780789001344.